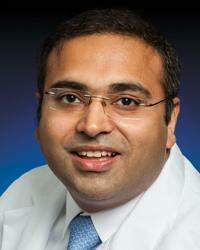 Rahul Malik, MD, is board certified in nuclear cardiology and internal medicine. He combines non-invasive medicine, research and innovation with patient-oriented care to treat even the most complex cardiovascular cases. His approach is one of empowering his patients to prevent, treat, and manage heart disease at every stage. Clinical interests include: structural heart disease, difficult-to-control blood pressure, coronary artery disease, valvular heart disease, cardiomyopathy, pericardial disease, peripheral arterial disease and aortic stenosis. Dr. Malik believes it is imperative to establish open communication with his patients, and works with them to map the best course for their health.